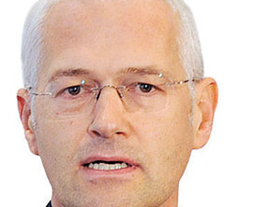 Jonathan Browning, who departed as CEO of Volkswagen's U.S. operations in December after a tumultuous year, has returned to his native England -- but not as an auto exec, exactly. Browning will be chairman of the Coventry and Warwickshire Local Enterprise Partnership, an economic development group in the West Midlands, Britain's automotive heartland. The region is home to Aston Martin, Jaguar and Land Rover, as well as several plants operated by global auto companies. One of his jobs will be to chart a path for England's shrinking auto industry. "There are a number of the ingredients in place to be successful," Browning told Automotive News. "But it's going to require a lot of hard work to realize that in such a competitive industry." It's a homecoming for Browning, who became Jaguar's managing director in 1999 at age 39. He left Jaguar after upheaval within then-owner Ford Motor Co., rode out the General Motors bankruptcy as president of global sales, service and marketing in Detroit and saw the highs and lows of VW's recent efforts in the United States. Will he ever go back to an automotive C suite? Says Browning: "One thing I've learned in life is never to say never."